The North Carolina roots of brothers Brad and Phil Cook should explain the twang that emanates out of their “mini-album” but Heretofore is just as steeped in the ethereal folk of third member Joe Westerlund’s native Eau Claire, WI — home to like-minded songwriters Justin Vernon of Bon Iver and Peter Wolf Crier of Peter Pisano. Call it a difference of two halves. Heretofore’s opening title track starts slow but builds to a charging stomp, giving way to the breezy AM rock of “Carolina Days”. “Eagle” and “Volunteers” both come straight off the back porch, slip-slidin’ on simple descending guitar riffs (the former) and Appalachian banjo lines (the latter). By the time “Comprovisation for Connor Pass” — an eleven-minute foray into some deep, stoned abyss — rolls around, Megafaun’s moved from the porch back to Eau Claire. “Comprovisation” and harmony-heavy closer “Bonnie’s Song” are decidedly more laid-back and somehow even more beard-friendly than the front-end of this sufficient holdover to an unnamed LP set for release later this fall. 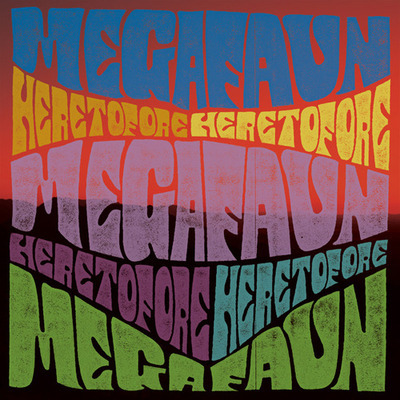 Buy Megafaun records at Other Music or iTunes. Heretofore will be released September 14. After the jump, check out an intimate live performance of “Bonnie’s Song”.